Fels, who was previously Business Unit Director at 34 and responsible for handling SAB and Foodcorp, has strong experience in strategic brand management, and more recently extensive experience in core shopper marketing, consumer engagement and sales promotions. In his capacity as Deputy Managing Director, Fels will focus on driving the integration of the specialist business divisions within MACHINE, fostering the growth of the inherent strategic abilities and, in turn selling this turnkey solution to the agency’s existing and potential clients. 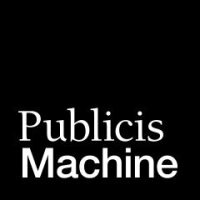 ‘I believe MACHINE is perfectly poised to be everything a modern communications agency should be’, commented Fels, ‘We offer all the necessary tools to connect and engage consumers, change behaviour, build brands and entrench loyalty. It’s an incredibly exciting time to join the agency and apply my experience and skills to achieving that vision’. In the first month he has already demonstrated an amazing impact on the team and brings additional firepower in our ability to offer a unique offering to the local brand industry. Perhaps most importantly to our business, Tom has joined us with a shared vision and culture for both how we work with clients and how we grow our staff – getting this right can only drive success for MACHINE’, concluded Hewlett.